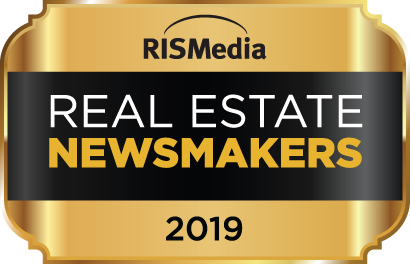 More evidence of a housing market recovery comes with news from a recent MarketWatch report that by the end of 2012, the US housing market had seen five consecutive quarters of home value appreciation – the largest yearly gain since 2006. But according to industry professionals, this upward trend, driven partially by a limited supply of housing available for purchase, can’t be sustained at this rate for long without creating another housing bubble – one that could burst. Over the course of the year 2012, home values climbed 5.9%, nearly double the historical average of around 3% annually. One reason for this surge is that fewer houses have been available for sale in many metro markets. With good opportunities for refinancing and help for those in trouble with mortgage payments, many people who might otherwise try to sell a home are choosing to keep it. Still others are waiting for a good time to sell — or are looking for a buyer with cash. As a national trend, foreclosures are down, too – although, as we’ve discussed in precious posts here, more are waiting in the wings, as the “shadow inventory” of homes still in the foreclosure process or held by banks and other lenders remain off the market and will continue to go up for sale in irregularly timed waves. Although the rise in home valuation overall appears to echo the days of the housing bubble that led to the massive collapse of 2008 and beyond, industry watchers predict that the average rise in prices is likely to remain in line with historic averages from here on, and that current conditions are very different than those that obtained a few years ago. Mortgage lending today is hardly what it was in the period preceding the collapse. Then, lenders backed large numbers of subprime loans – mortgages loaned to those with doubtful credit and other red flags. Today, mortgage lending standards have tightened significantly, and lending practices are more closely monitored too, thanks to legislation and regulations put in place after the exposure of fraudulent practices involving mortgage lending and the handling of foreclosures. 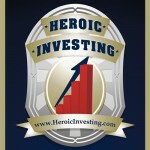 What does all this mean for heroic investors looking for income properties with Jason Hartman’s guidance in this new housing landscape? Although mortgages may be relatively easy to get and rates are low, bargain properties may be in short supply in some markets. New home construction is relatively slow and may not be making much of a contribution to the number of readily available homes. Sellers may be looking for buyers with cash. And the foreclosure and short sale market, which in previous years provided a fairly steady supply of low-cost properties, is moving irregularly. 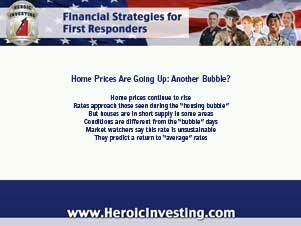 The sharp rise in home prices is expected to level off, avoiding the potential of another bubble. That’s good news for the housing market, and for the economy as a whole. And for the investor, stability in the market means better conditions for long term investing success.